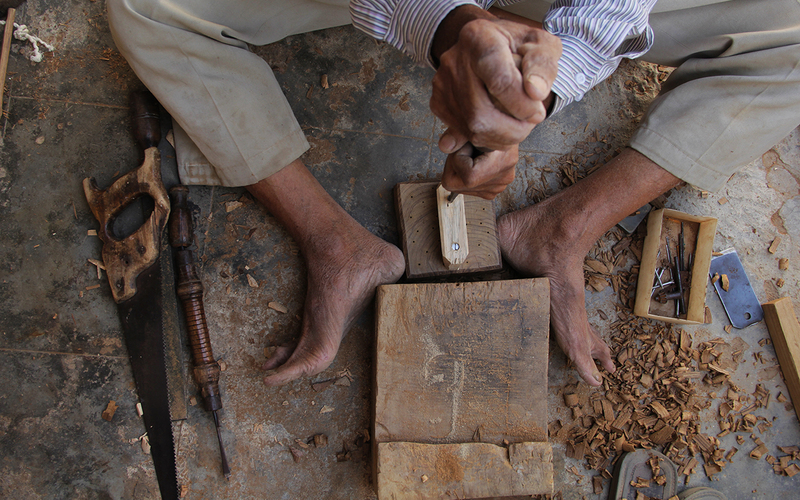 In Pethapur, a village near Gandhinagar, Gujarat, we can find a hub of wooden block carvers. 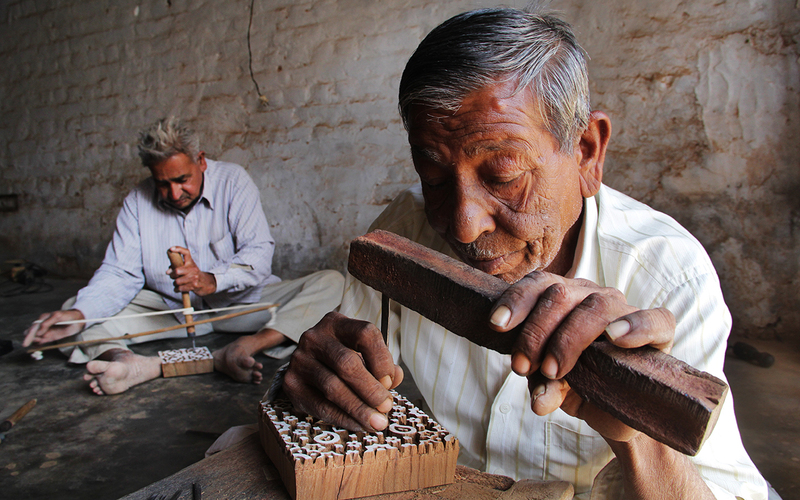 Pethapur has been a center for woodcarving for over 300 years. 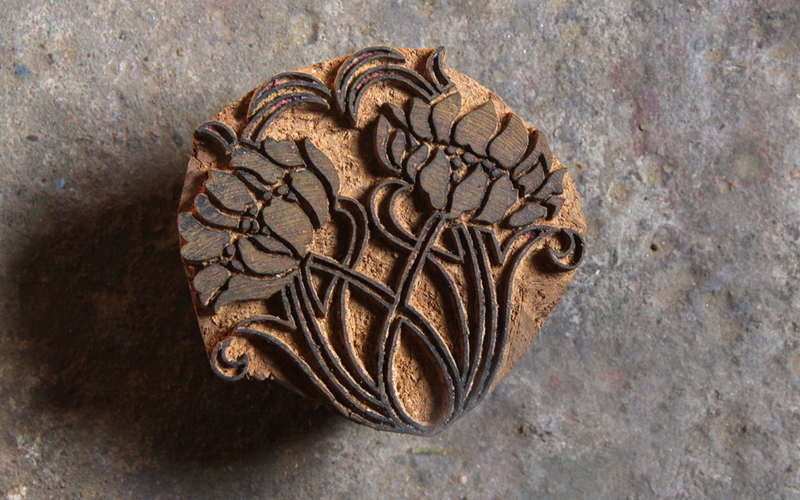 It is known for producing and exporting wooden blocks, with exquisite designs. 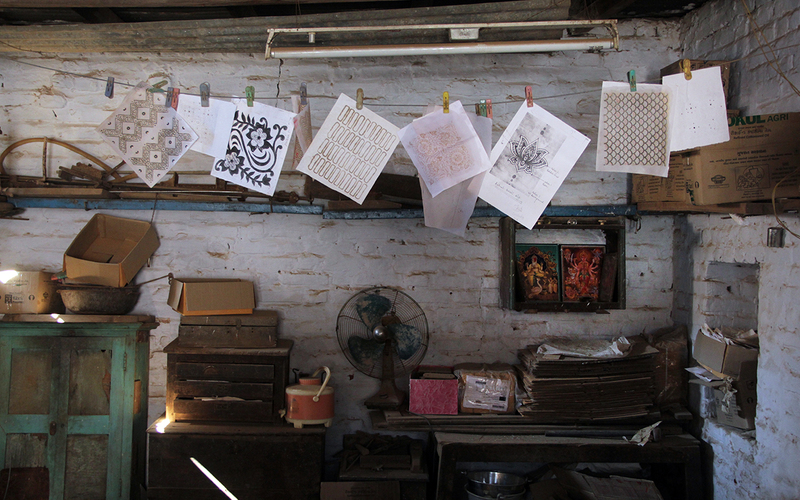 While in the past there used to be 25 workshops in Pethapur, now only four or five are left, as they have to compete with faster and cheaper production methods. 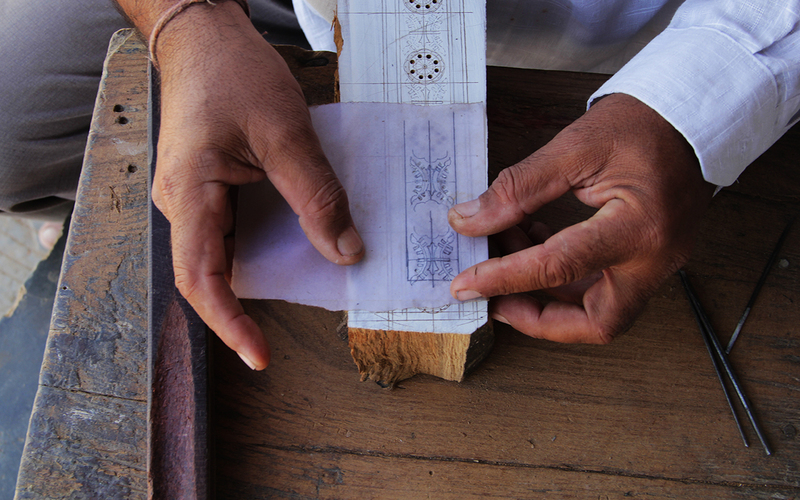 This also has an impact on the interest of new generations to take up this craft, as less money can be earned. 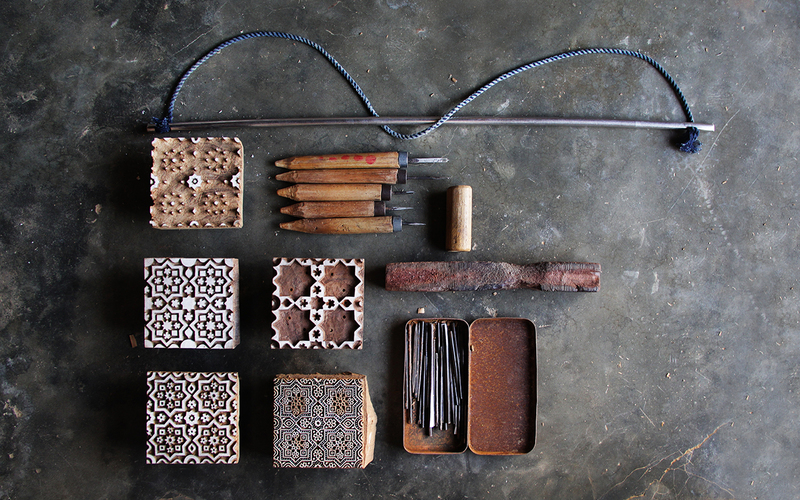 The main wood type used for carving is teak (Sagwan), which is a strong wood that does not absorb water or change in shape or size. 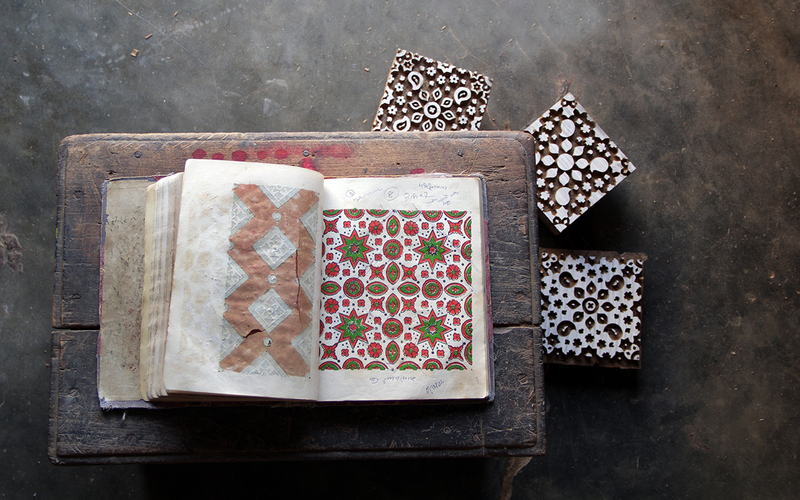 To make the blocks, first the wood is cut and painted with white paint. 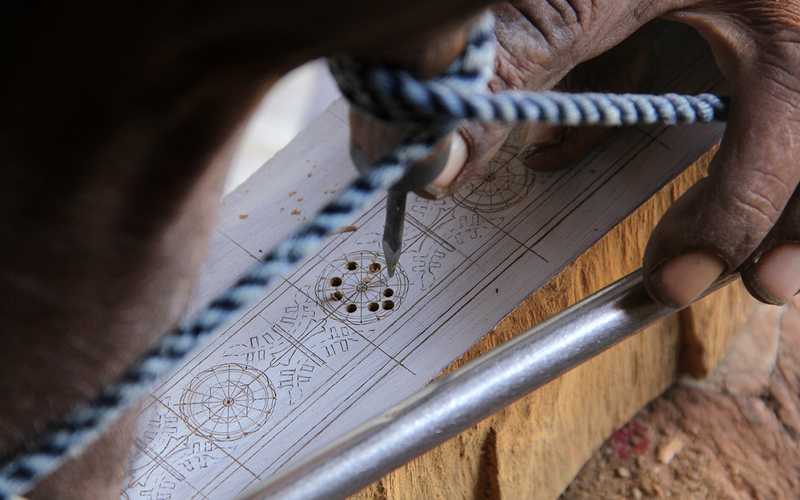 Then designs are drawn onto the painted wood. 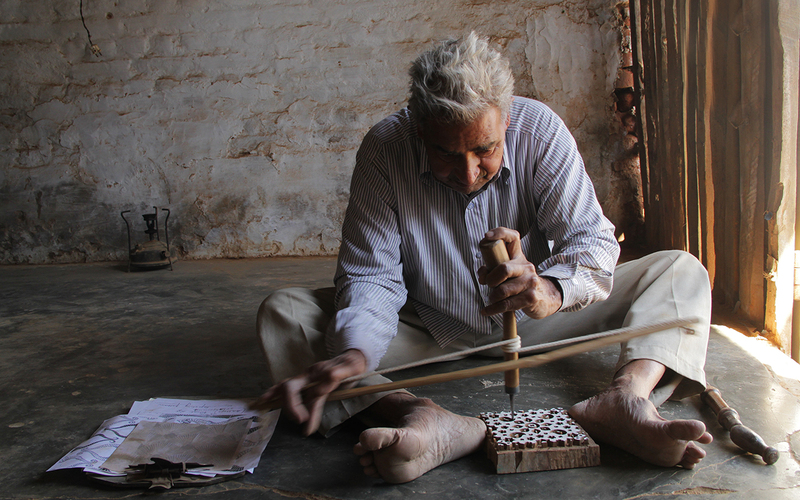 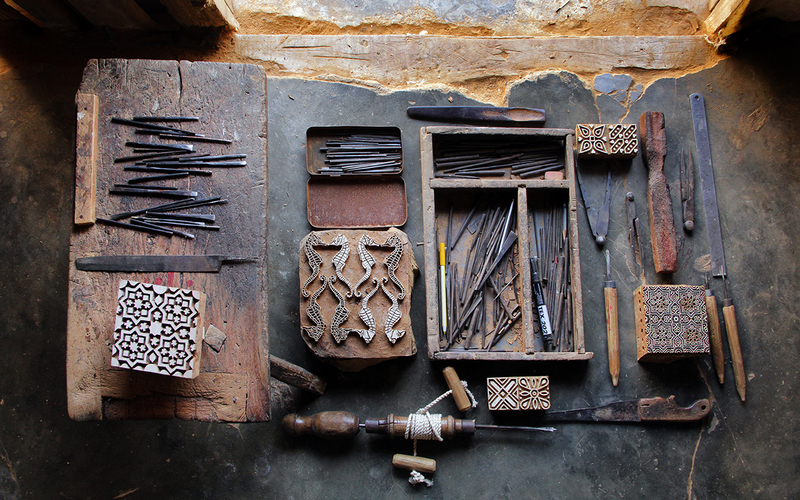 Hand-made tools used to carve bigger designs include a hand drill, made of a bow (Kamthi) and a driller (Saaradi). 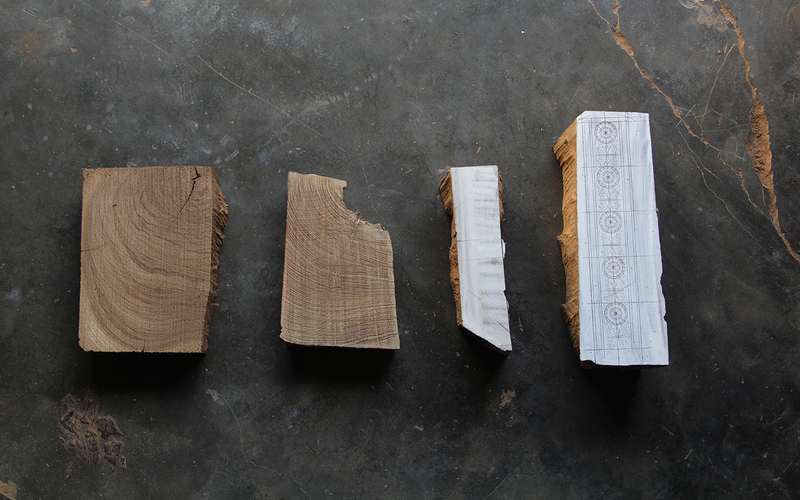 Smaller and finer designs are created with different sized and shaped chisels. 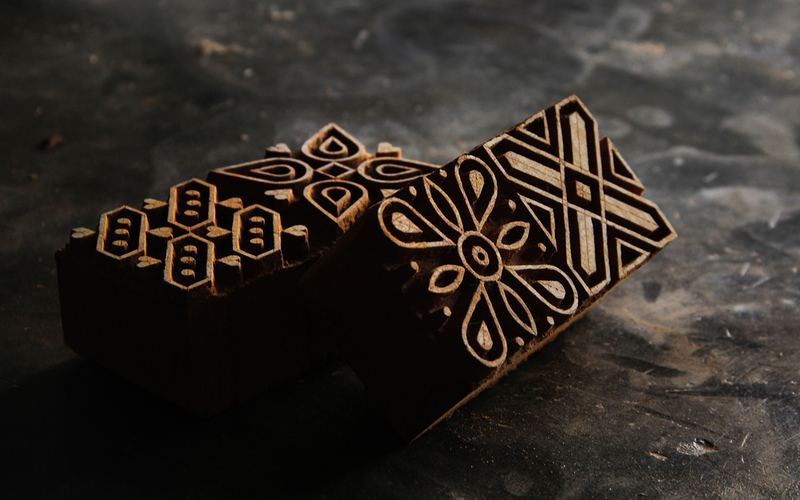 Unfortunately, there are very few block carvers left, but with Textiel Factorij we are aiming to revive this craft, by also working with more contemporary technologies, such as laser cutters, 3D printers and CNC machines.